Volunteer of the year - 2018! Bob Simons volunteered more hours than any other volunteer in 2018, over 700 hours! Bob is not only able to fill any role in the kitchen, but he's readily willing to do so. He jumps in to help right away and keeps us all on our toes! Bob's attention to detail and incredible knack for catching things others overlook is truly amazing. Bob is quite a chef and often brings in proof of that - we always look forward to samples when Bob describes the recipe he will be trying out over the weekend! 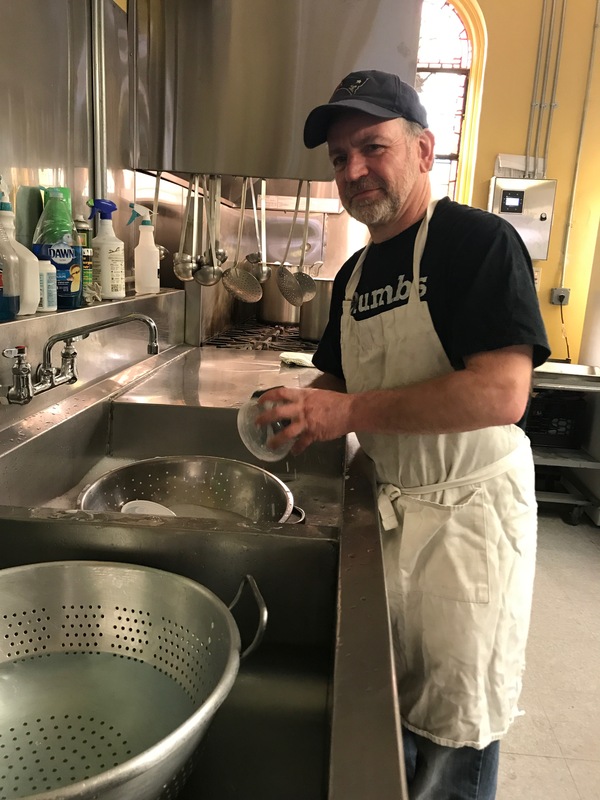 His incredibly upbeat attitude, his physical strength and perseverance and his skills in the kitchen make Bob an ideal volunteer. We are so lucky that he chose the Berkshire Food Project as the place he volunteers!